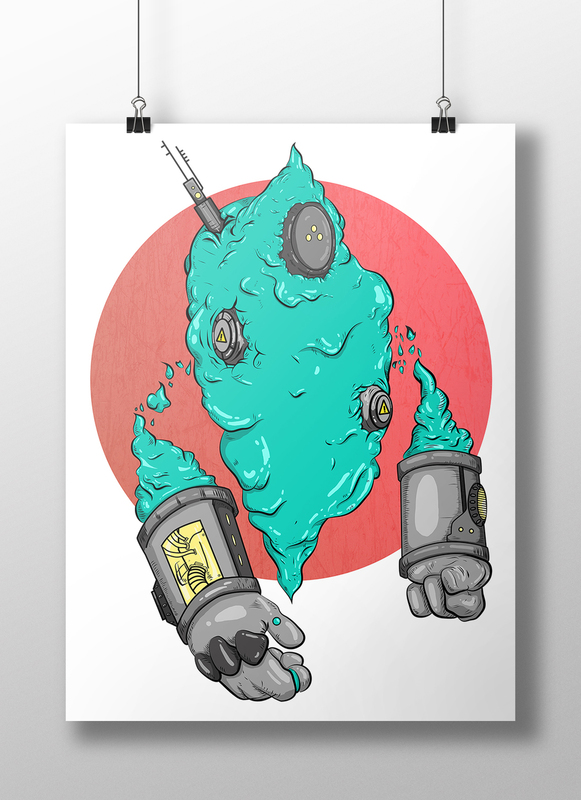 Here's the final version of my 'Gooey Sentinel' (I'm terrible at names) that I made available for printing over at Society 6 and on my site. Here are some mock-ups for what it looks like printed in a few different ways. Here's the final progression .gif I made for the various stages of this project. I'd say it was successful for me technique-wise, but the reception from everywhere online has been lukewarm to say the least. I've been posting the stuff I'm making everywhere that I'm a part of and just can't seem to connect with any more than a couple people at a time. I don't even know if anyone is even reading this right now. It doesn't matter either way. I'm just going to keep doing it - for myself more than anyone. I know if I keep making stuff and putting it up to share, and talking to other artists something will happen eventually- it's the time in between that's always the hardest with things.